My Week in Art: New plein air painting video! Well, there would have been a new video if not for an apparent glitch in Youtube's copyright protection strategy. When a new video is uploaded, it is scanned and compared to thousands of audio files in Youtube's database, to see if any of the audio in the video file matches any of the audio in the database. If the Youtube "robot" thinks it found a match, it flags the video with a copyright infringement and offers various ways to proceed. So, if you video your dog catching a ball but have the Top 100 radio station playing in the background, your video will probably get flagged for a breach of copyright. In the majority of cases this probably works as intended and prevents people potentially benefitting from someone else's uncompensated efforts. You're not allowed to upload Top 100 music, even if it was accidental. However, it appears the automated system has at least one significant flaw - classical music. Once a piece of music has come out of copyright and become public domain, anyone is free to make their own recording of it. But each of those recordings has its own copyright. So it is possible to have several copyright claims apparently on the same piece of music. But the claim is only on the new recording, it cannot apply to the music itself. And therein lies the problem. If you and I and ten other people all sit at our pianos and record a version of a piece by Mozart, the chances are we would have twelve recordings that sound very much the same (except I can't play piano but bear with me here). We would each then have copyright on our own recording, but there's a good chance, it seems (based on forum discussions), Youtube's robot wouldn't know the difference. So imagine what happens when major recording artists do their own cover versions of the classics and lodge them in the Youtube database – and then someone else releases their own version of the same classics royalty free, for anyone to use... Do you see the problem? Well, to cut a long story a bit less long, my new video got flagged. Before I go any further, let me assure you that I did not breach any copyright. Every music track in my video was sourced from Kevin MacLeod's Incompetech website. Mr MacLeod releases his music under a Creative Commons licence which allows royalty-free usage as long as he is properly credited. But the Youtube robot thinks my track is from somewhere else. Perhaps it sounds like someone else's music but unless Incompetech have got it wrong, it isn't someone else's music. I used "Midsummer Sky" from Kevin MacLeod while Youtube believes I have used "Encontré la Leche" by someone else. Maybe they sound the same but I did not use "Encontré la Leche" in my video. The Youtube robot offered me the option of accepting the infringement is genuine, which will result in ads being placed on my video and the alleged content author being compensated for something they did not* produce. Or I could file a dispute. I have filed a dispute, which is something of a pain because the process requires selecting from a short list of reasons for disputing the copyright claim. None of those reasons seems, at first glance, to be appropriate in a case like this because there's a presumption in the options provided that the robot isn't mistaken. Each option also comes with a warning that this is essentially a legal claim and in some cases legal counsel is recommended before lodging the dispute. After contacting Incompetech, I put my anxiety to one side (and be assured this has caused significant anxiety) and chose to dispute the claim on the basis that I have written permission/license to use the material. Later in the dispute process came the option to offer a short written reason for the dispute and this is where I have identified the actual source of the material in question with a link to the licence. I have taken this decision for several reasons, not least of which is that I feel I am absolutely in the right. I initially conceded the claim, because of all the dire warnings about what could happen if a dispute is over-ruled (hence the anxiety), but I do not feel it is right for a third party to receive compensation (through ad links) for a product they did not produce, especially when the actual producer has made it freely available. Indeed, I feel this result would be absolutely contrary to the intent of the system - to prevent people incorrectly benefitting from someone else's efforts. So I reverted the acknowledgement and lodged the dispute instead. I have no idea how long it will take for this to be resolved. My reading suggests it could be weeks. In the meantime I have marked the video "private" so it cannot be viewed. UPDATE: I've unlocked it. See blog here. I hope to make it public as soon as possible, hopefully intact and without ads. I'll take this opportunity to again thank Kevin MacLeod for the incredible resource he's provided. It seems that, despite his altruism in providing these music files royalty free, Kevin MacLeod spends quite a bit of his time having to deal with incorrect copyright claims being made against his work by other parties. 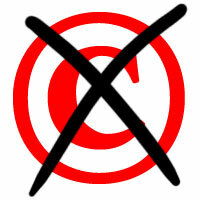 Read more about the wrong third-party content copyright claims and copyfraud. *I accept at face value Incompetech's claim to own the rights to the music they offer royalty free. I've seen nothing to imply any impropriety on their part so I feel assured that the music I've used is not owned by any other party. Turns out, we chose the same piece of music for background....mine in a slide show for private use. Glad you got it all sorted out. It's not sorted yet. When you lodge a dispute, Youtube removes the infringement until further notice. I just decided there was no point keeping the video hidden until they get around to making a decision. If they somehow decide to find against me, I'll remove the video and replace the track since I cannot, in all good conscience, allow someone to profit from something they played no part in producing. That wouldn't be fair to either myself of Kevin MacLeod and runs contrary to the spirit of copyright protection.